The following post is part of our Law Student Blog Writing Project, and is authored by Ian Fasnacht, a law student from Ohio State University Moritz College of Law. One of the first steps in pursuing litigation is to determine which court has jurisdiction over a claim. Jurisdiction is a court’s power to hear and decide a case. Failing to file a claim with the proper court will either result in the case being dismissed or the judgment will be appealed on the grounds that the original court did not have jurisdiction. The Ohio Supreme Court has clarified which courts have jurisdiction over claims regarding worker’s compensation lump sum payments. Prior to the Ohio Supreme Court’s ruling, Ohio case law indicated that two courts could hear cases regarding worker’s compensation lump sum payments. The first was the Ohio Court of Common Pleas, which has general jurisdiction over all civil disputes with more than $500 in controversy. Second, was the Ohio Court of Claims, which has exclusive jurisdiction over civil suits against the State of Ohio for money damages that are “sound in law.” After the Ohio Supreme Court’s ruling in Measles v. Industrial Commission, the Ohio Court of Claims has exclusive jurisdiction over workers’ compensation lump sum disputes. A class action suit was brought against the Industrial Commission of Ohio for stopping weekly payments of workers’ compensation benefits. The individuals in the class action had opted to receive a partial lump sum and then receive discounted weekly distributions for the remainder of their life. However, in taking the partial lump sum the recipients signed a contract that provided, in part, “Lump Sum Payment is granted it will result in a permanent reduction of weekly benefits which shall continue for the life of the claim.” The members of the class action in this suit were only individuals who had taken a partial lump sum, but each member could have selected to receive a full lump sum payment and no weekly distributions at the time of selection. The Industrial Commission of Ohio stopped paying weekly benefits to the members of the class action when the individual member’s weekly distributions and partial lump sum totaled the amount each recipient would have received if he/she had selected to receive the full lump. The Industrial Commission of Ohio argued that when the recipients signed the contract to receive partial lump sum payment the recipients had agreed to receive a specific amount of money; therefore, once that specific amount of money had been paid the Industrial Commission of Ohio was not responsible for continuing to make discounted monthly payments. In contrast, the members of the class action argued that they were entitled to receive a reduced weekly disability payment for the remainder of their life. Therefore, the Industrial Commission of Ohio was statutorily required to continue to make payments for the remainder of their life even if the amount they would receive would exceed the amount originally offered in a lump sum. The court reasoned that the class action members were suing under the contract they had signed with the state. A contract is “sound in law” because it is legally binding. Therefore, the members of the class action needed to sue in the Ohio Court of Claims. The Ohio Supreme Court differentiated between two prior cases. First, Cristino v. Ohio Bur. of Workers’ Comp. involved a class action who sued after receiving a full lump sum payment. The court held that the claim needed to be filed in the Ohio Court of Claims because the contract needed to be analyzed to determine if the state entered into a contract that the state was statutorily prohibited from entering. Speaking in general terms, the Ohio Supreme Court noted that if a contract was signed regarding workers’ compensation or disability benefits, then the contract always needed to be analyzed by the court to determine if the state entered into a contract that was outside of the state’s authority. In cases involving partial or full lump-sum disability payments, the parties are disputing the “consequences of the contract.” As a result, the contract must be analyzed, which means the Ohio Court of Claims has exclusive jurisdiction. Filing a claim in a court that has jurisdiction is an important early step in the litigation process. Filing in a court that lacks jurisdiction can waste time and money. The Ohio Supreme Court has clarified that the Ohio Court of Claims has exclusive jurisdiction over workers’ compensation cases where individuals selected to receive a partial or complete lump sum payment. Beyond workers’ compensation disputes, the Ohio Supreme Court’s decision has clarified that when a contract was signed between the state and individuals the dispute must be litigated in the Court of Common Pleas. When a contract is present, individuals or classes of individuals will be suing the state because the terms of the contract were violated. As a result, the dispute will regard the terms of the contract; therefore, the dispute will be “sound in law” and under the exclusive jurisdiction of the Ohio Court of Claims. Do you have an Ohio Workers Compensation claim and want full compensation in your settlement? 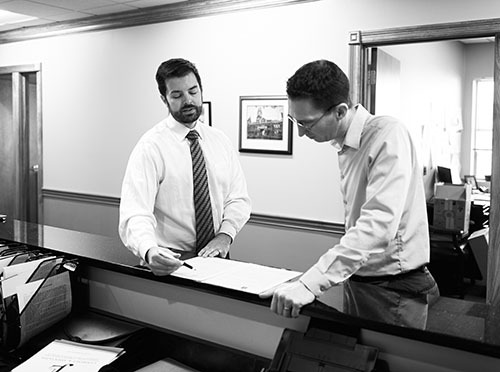 Our attorneys offer free consultations! We’re Working Hard for the Working Class, and we want to help you!